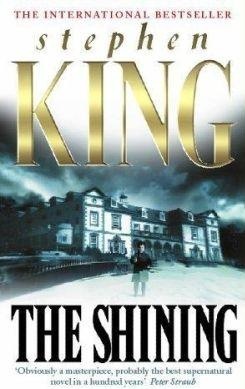 The Shining, Stephen King’s third book was an instant bestseller and Stanley Kubrick’s movie based on the book went on to become a masterpiece in no time and is hailed as one of the scariest movies ever. The question arises which is better? I saw ‘The Shining’ two years ago. My first impression of the movie was that it was oddly slow. I was conditioned to think of a horror movie as one which has constant thrills and fast camera angles and endless shrieking (The Conjuring, Insidious etc). This movie offered something quite different. Stephen King is one of those authors who can make absolutely anything terrifying. But as is the case with most books that get made into movies, the movie just cannot compare. The Shining is no different. The plot is fairly simple. 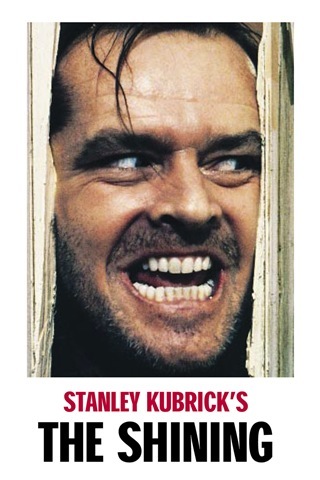 An aspiring writer, Jack accepts a job as a winter caretaker at the Overlook Hotel and moves there in the seclusion of the winter months along with his wife, Wendy and their five-year-old son, Danny. Danny possesses telepathic abilities and starts seeing visions which are terrifying to say the least, and being five years old doesn’t really help him. The family then gets stranded in the Overlook because of a snowstorm and are left with no working telephones and no possibility of escape. Soon, Jack’s advent into madness begins and he starts to get frustrated and his family begins to disintegrate. The one stark difference between the movie and the book is that in the book, the hotel with it’s unending corridors is an accessory to the madness that lies within Jack while in the movie, Jack is entirely human. The things he does, the way he feels and how he starts to act are things one can associate with a mad-man, regardless of where he is. The movie unfortunately made something innately sinister, unentangled and explainable. Not only that, much of what the book was able to capture – the small nuances of the plot, the vivid imagery; all of that was lost in the movie. The book seethes into you and feeds off your fears. King wonderfully switches from character to character and exposes their thoughts like a live wire. Needless to say there are many shocks! The movie, on the other hand ran monotonically as a story of which the viewer is not a part. The best way to compare the book and the movie would be by saying that the book makes you mad while the movie shows you what madness looks like. The book is unparalleled and I highly recommend it to those who enjoy the horror genre. The movie wasn’t bad at all, it was just a different interpretation of the book. 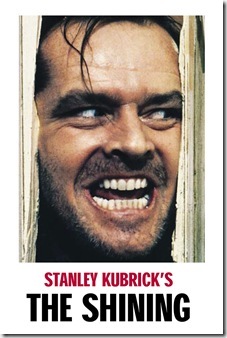 Jack Nicholson is gifted at portraying a man driven over the edge and his creepy grin is a plus. The location was chilling, literally but nothing compared to what the mind of any reader can create. Both the book and the movie should be experienced at least once. There are undertones to both pieces of art which are as devastating as they are delicious. However, if you were to choose between the two, my loyalties would lie irrevocably with the book! Each page was devoured by me. If you haven’t read it yet, I suggest you order it right away! And with the sequel out this week, The Shining ought to get a new leash of life. Doctor Sleep, here I come.